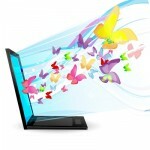 ﻿ Flash Animations: Is it ideal for your Business Website? Although having a flashy animated website can help you immediately attract visitors, is it really wise to have one integrated on your business site? Outlined below are the common advantages and disadvantages to help you decide whether or not to add flash to your site. Flash animations can help you communicate your message effectively. Integrating flash and animations will add value to your site, not only in terms of interactivity but also in delivering your message across to your visitors. The visual elements of flash animations allow your readers to easily grasp the meaning of your content without t having to read your entire blog post. Flash can help you promote your products and services. Flash can also be quite useful in promoting your products and services. You can dynamically highlight sales promotions and voucher discounts by integrating flash. Combining the powers of a well-written marketing copy and the interactivity of flash animation will do wonders to your conversion rate. Flash animations appeal more to your visitors. 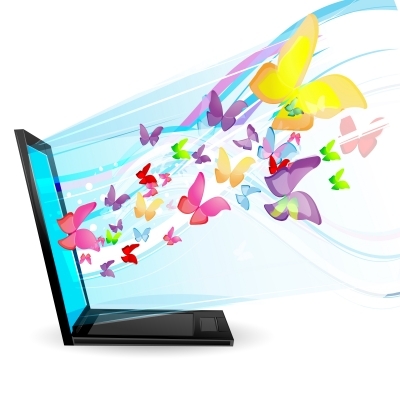 Animated websites are eye-catching and will always grab visitors’ attention. Over time, visitors tend to get bored by information presented in plain text that they’ll choose a flash-animated website over a static, text-based website. You should target creating a website that’s informative and entertaining at the same. Flash elements may be eye-catching to human visitors, but search bots can’t read and crawl flash contents. This means, that you will have a hard time ranking your pages in search engines if your website is heavily loaded with flash. • Search engines can’t index any content inside a flash file. The mobile market is growing exponentially. At present, there are 2 billion smartphone users and for your business to grow, you need to tap this market. You won’t be able to effectively reach your mobile users if you’re using Flash-based contents on your site. Flash does not work on some mobile devices like iPhones and iPads. • Flash animations are only viewable by visitors who have the right flash software or plug-in installed. This means that a big chunk of users may not be able to see your flash file. • Flash may cause high bounce rate. Websites with lots of flash and animations tend to load slowly. Slow loading sites tend to frustrate visitors. With thousand of available information on the web, and with your competitor’s site just one click away, they won’t wait for your site to load – they’ll bounce out. • Flash files are quite difficult to update. Considering the large percentage of the market that you won’t be able to tap because of flash’s incompatibility with smartphones, and the number of visitors you’ll lose because of plugin and loading problems, it is best if business owners don’t use flash on their site. There are other ways of attracting and engaging visitors other than flashy and animated contents.